How to use ghost bookings in the resource scheduler. 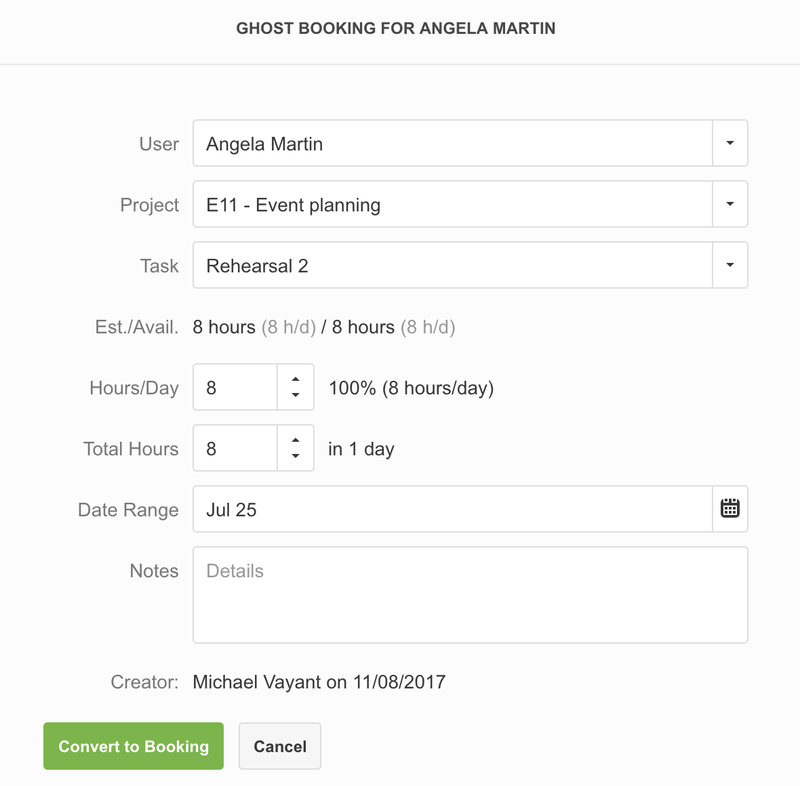 Ghost bookings are suggestions based on your task settings. 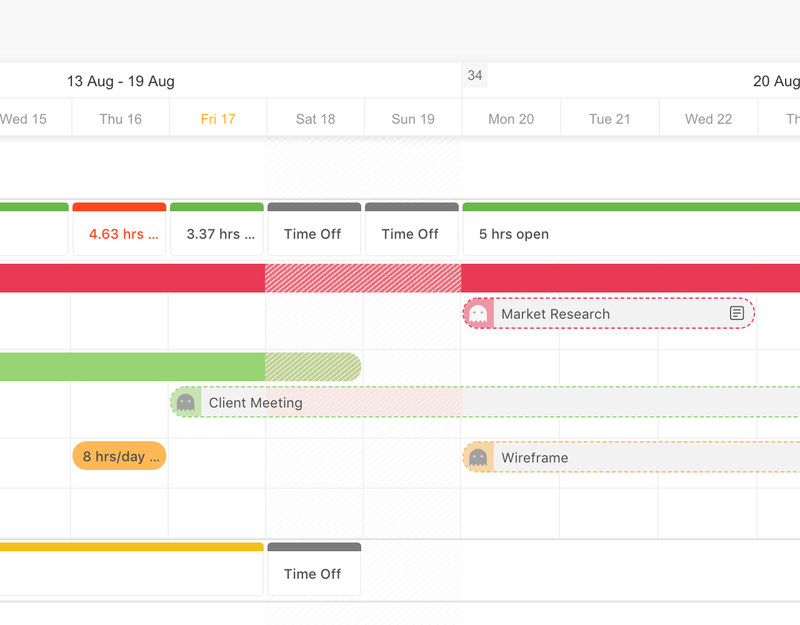 When setting start and due dates for your tasks, those dates will be reflected in the Team schedule calendar as ghost bookings, which you can easily turn into regular bookings by clicking on them. Once you click on a ghost bookings the user, project and task will be selected by default and you will also see the estimated/available budget for that task and the date range. You can add notes that will help the assigned user with the task at hand.